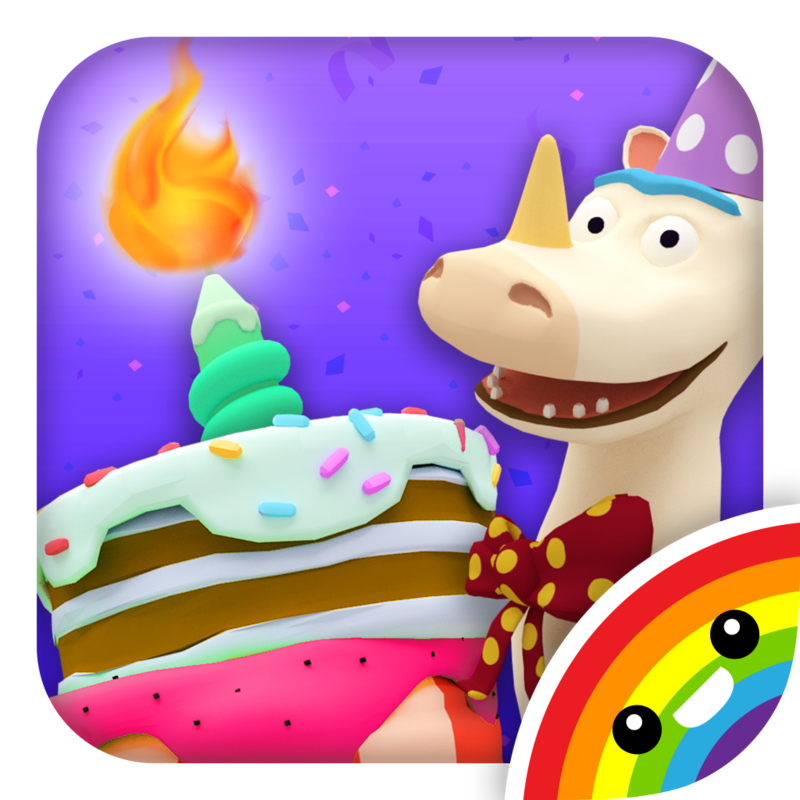 Mezmedia is proud to launch their latest app – Bamba Birthday Cake. Kids can make the wackiest, messiest birthday cake and top it off with an awesome flaming candle! Then they can choose their party location, friends to join in and finally sing ‘Happy Birthday’ in a massive fireworks and confetti finale. And what birthday party is without presents, at the end of every party, a special gift is given with a surprise inside. There is a lot of replay value in Bamba Birthday Cake. Bamba apps are all about wacky and gross, so kids can find special flavors like the Wriggly Worm, the Dirty Truck Tire or Rotten Green Cheese, along with the ‘boring’ chocolate and strawberry flavors. Kids can then top the cake with their crazy candle of choice – the Flaming Skull, the Fiery Volcano or the Eww Potty! Prepare for lots of giggles and smiles with Bamba Birthday Cake. Bamba Birthday Cake will develop your child’s imagination and creative abilities through pretend-play. We highly recommend co-play where parents, teachers can educate and bond with the child. There is nothing better to a child than celebrating birthdays surrounded by people they love. Bamba apps are designed for learning through play. The apps are designed for families and are suitable for children 3 years and above. Also suitable for people in the autism spectrum. This app comes with a parental gate in the form of basic math question. Bamba Birthday Cake also marks a move away from the 2D interactive environment of their previous apps and into 3D. The Bamba characters so loved by our fans are now in 3D. Having the app in 3D instantly brings up more opportunities for interactivity (e.g. kids can spin the cake) and as developers of the app, more ways to make the experience immersive. “Kids love birthdays.To sing loud, to blow candles, to eat sweet stuff and to open presents, which child can resist that? We wanted to make the best birthday cake app out there, one that kids will love playing over and over again. I always play Bamba Birthday Cake with my 3-year old girl, and it’s a fun way play and learn”, said John Ng, co-founder of Mezmedia, the studio behind the Bamba series of education apps for kids. * Bamba Birthday Cake is designed to be language free. Copyright © 2011-2015. Mezmedia Pte Ltd. BambaTown.com. All Rights Reserved.